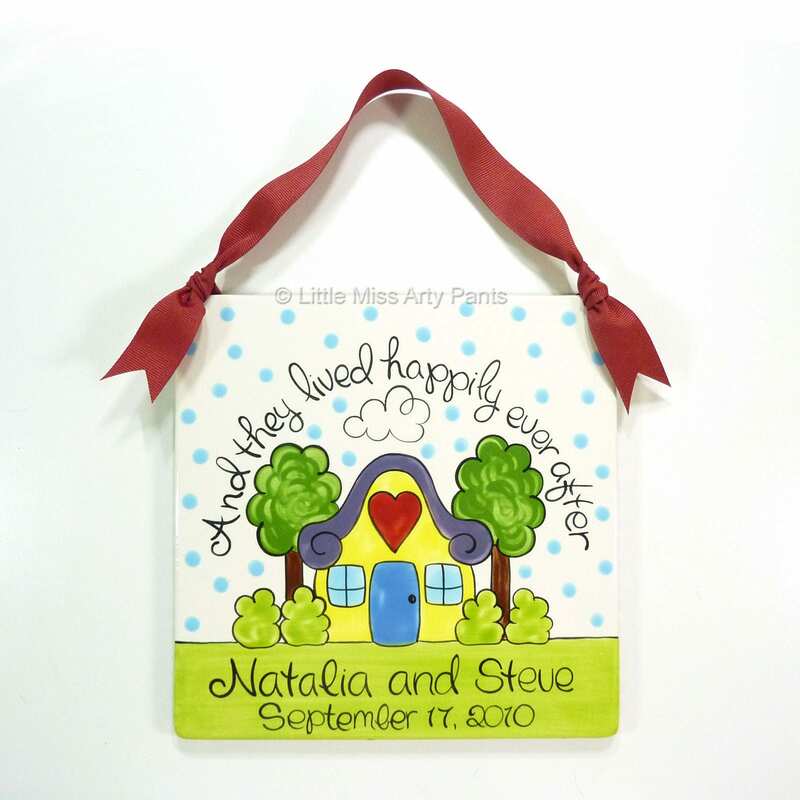 This personalized and hand painted 8" ceramic plaque will make a special Wedding, Anniversary or House Warming Gift. All personalized plaques are created just for you, per order. Includes matching ribbon. You may request a ribbon color that is not listed and I will do my best to accommodate you. 1. Names - First names, or the Last name. 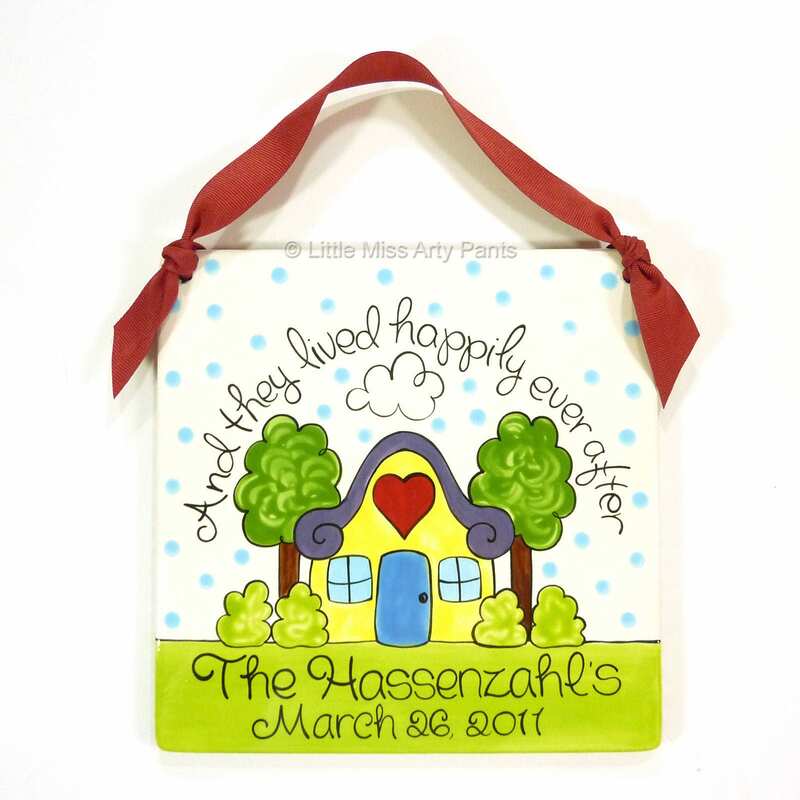 ALL PLAQUES ARE HAND PAINTED, GLAZED AND KILN FIRED.